Pennsylvania's Most Thrilling Laser Tag! 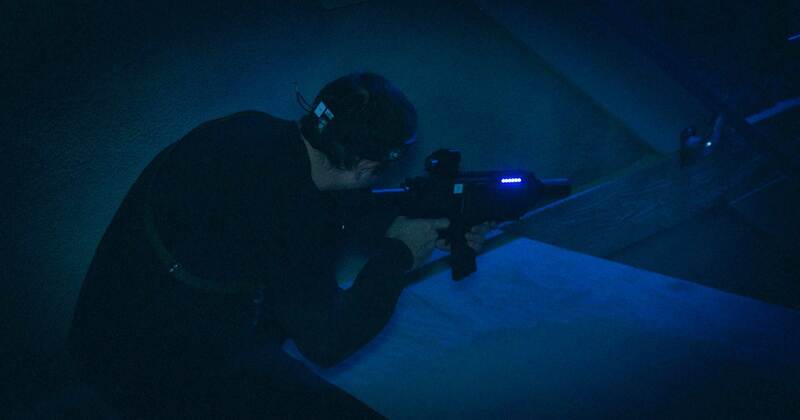 Stryke Force laser tag is an intense, unique indoor tactical laser tag arena that’s different than anything you have played before. We use state of the art Battle Company weapons that look and feel like the real thing. 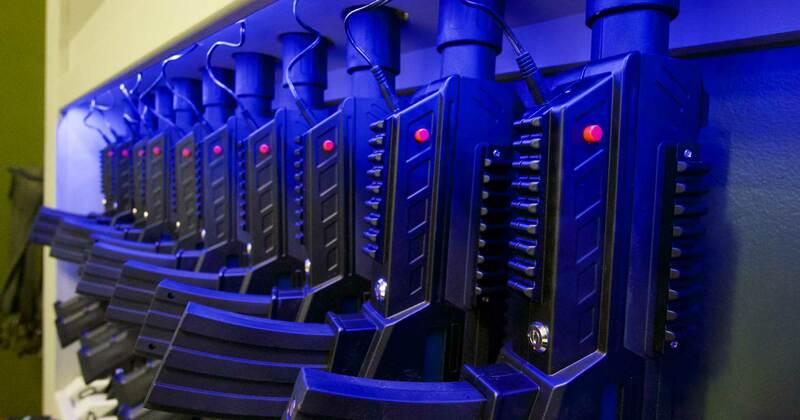 Awaiting you at Stryke Force is the future of laser tag. No more silly plastic guns or annoying black lights. Instead you can choose from over 30 riveting missions while competing in hostile warfare on a realistic Hollywood set. Picture it: two teams locked in conflict, both equipped with the most realistic Laser Tag armor and firearms known to man. You’ll experience authentic live noise and recoil in a fully immersive arena like nothing you’ve ever seen. The war zone is perilous and the battle intense, so reflexes and quick wit are the best bet for survival. This is role play taken to the next level. Please arrive at least 15 minutes prior to your time slot. Download the waiver and bring it with you. All weapons come with red dot sites that flash green when you’ve made a kill! BRM model uses realistic magazine changes for reloading when you run out of ammo. Both weapons feature muzzle flash and recoil as well as instant kill confirmation. All players get Battle headbands with multiple sensors that’s Bluetooth connected to your weapon, allowing realistic freedom of movement and no annoying cables. Lose yourself in our immersive arena that’s been designed to look and feel like you’re in the middle of a blockbuster action movie. 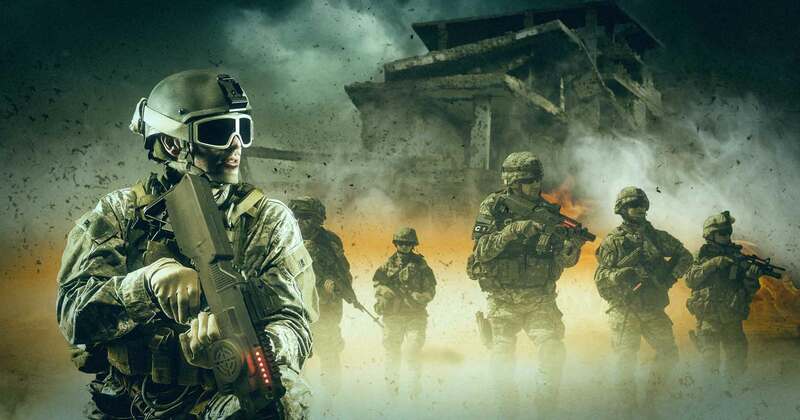 With a huge surround sound system, DMX lighting and computer controlled environment, Stryke Force puts you right in the middle of an active combat zone. Wipe out every person you come across in realistic free for all role play, or you can pick Team play missions that pit you against other teams. 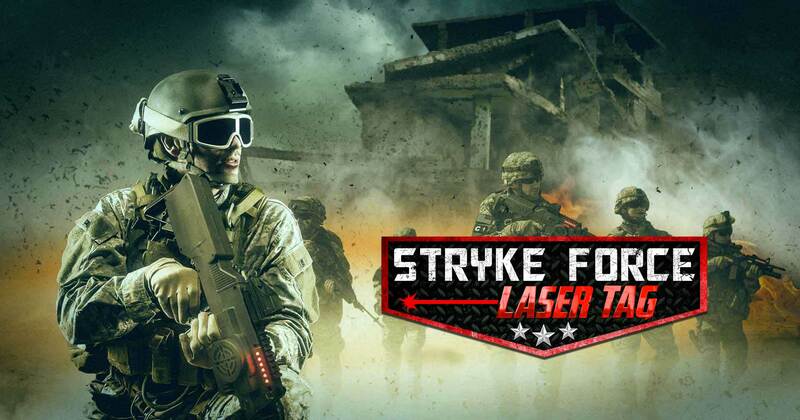 With exclusive missions and adventure to partake in, Stryke Force engages players in a truly extraordinary battle experience. Choose your fate in the story. Master your sneak skills, attack from above, or patrol with conviction in combat stance. Things will never get boring, no matter how many times you gear up for battle. Create a personal profile from our Battle Company app that lets you to keep track of your stats, and your friend’s stats too. Monitor wins and losses, kill streaks, and track your progress over time. Earn points that let you upgrade weapons, including hand grenades, drone strikes and even call in air support! Our top of the line system uses real time, WiFi based weapons that instantly tracks kills and keeps score for each mission. Check our leaderboard to see where you rank. 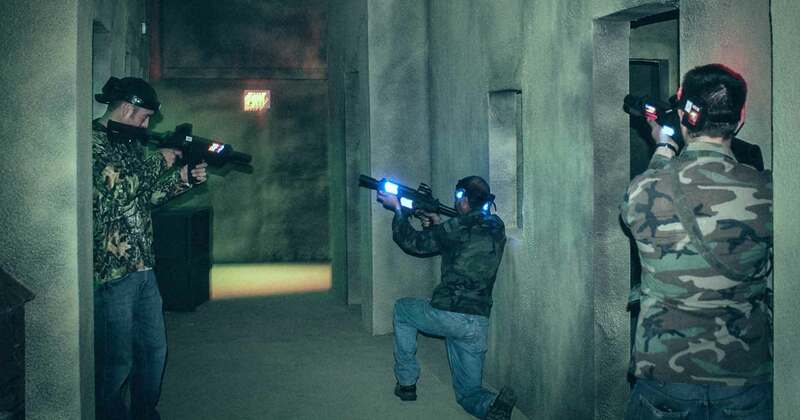 Powerful Laser Tag and Scoring Software! The EDGE Game Engine is a sophisticated control system that offers a true kill streak experience found in popular games like Call of Duty. Call in a UAV to give away the enemies positions, get upgraded weapons or body armor for you and your team, or rain terror from the sky with a mortars, missiles, choppers, and even a nuke! There are 16 Kill Steaks available for you to add or remove from any game! EDGE will let you and your teammates earn medals. Medals are achievements given to players based on how they play. This creates additional buzz for players beyond seeing their stats. 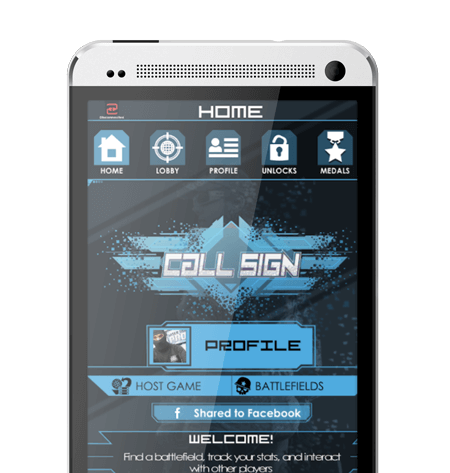 With the CallSign app, players can track all the medals they earned while playing at Stryke Force. Waivers are required for all combatants. Individual must be 18 years or older to sign a waiver. Players under 18 must have a parent/legal guardian fill out a waiver for them. © Stryke Force Laser Tag | All Rights Reserved.